For those of us who follow Irish politics north and south, there is very little about the last few days that surprised us. We have seen this all before. All too often. We know that language, symbolism and optics matters – hugely – when it comes to navigating the history, culture and character of Anglo-Irish relations. It especially matters to those who feel under pressure or under threat. Listening and talking; building confidence; paying the closest possible attention to detail to the wording of any statements, legislation, policy positions and the like is vital. It is non-negioiable. It is impossible therefore to believe that Theresa May and No 10 didn’t understand these basic rules of engagement but they appear to not to have done. It is a national embarrassment for her government. She is a national embarrassment. For hardened watchers of Irish politics, the rhetoric deployed by the DUP is both typical and laughable – basically accusing the Irish government of fighting its corner and standing up for its people. Go figure! It is hard to imagine, given the public nature of the debate this week and the exposing of each side’s positions, that meaningful compromise can be found in the short time available. We live in hope, but not much expectation. For its part, the Irish government has been rightly tenacious in its defence of its people, its national interest and its relationships within the EU. 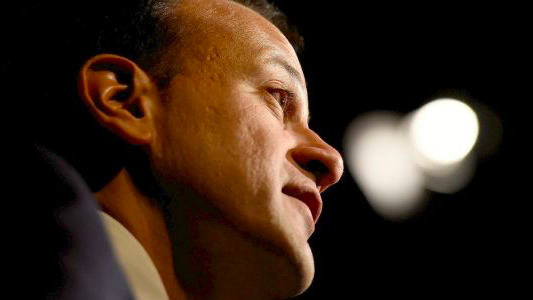 The Taoiseach has shown great restraint in public – whilst still speaking clearly and directly – they can be no confusion that he felt Theresa May had agreed a deal and then backed out – and is striking a reasonable and consecutive tone. Being described by the DUP as “chancers” and “aggressive” will be a badge of honour not one of shame. They have been clear about their objectives; clear in their language; specific in their requests; consistent in their approach; and they have done it with a smile on their face and civility in their tone. Mrs May, take note.